Seniors twins Amanda and George Doane get crowned homecoming king and queen at the homecoming football game. Brian L. Morgan. 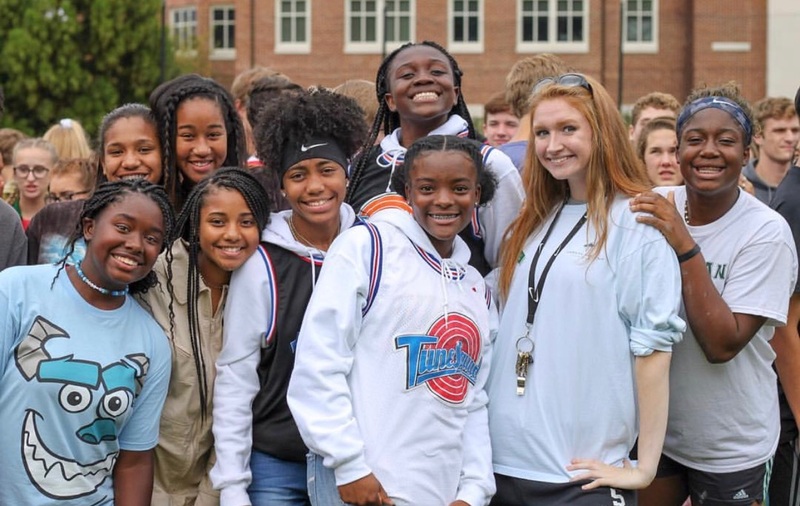 High school girls, Connor Caroll, Kaylynn Kirkland, Paige Wyatt, Alyssa Phillips, Izzy Larsen, Connie Harris, Jernai Kerr, Imani Washington and Jada Richardson express themselves through their costumes on matching day. Brian L. Morgan. 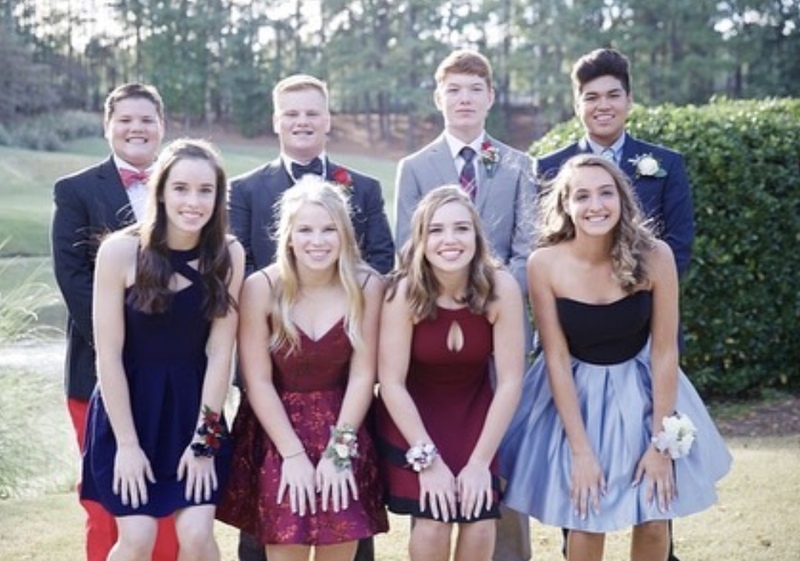 A group of freshman, Hampton Huggins, Will Burns, Matthew Brown, Joseph Cook, Grace Elsevier, Emily Godfrey, Lauren Balch and Gabby Oakes pose with their dates before their first homecoming. Grace Elsevier. Sophomore girls, Katherine Murphy, Ansley Morehouse, Alexandra Murphy, Natalie Gross, Adyson Means, Caitlin Kelley, Isabella Martin and Emma Nydam dress up as different movie snacks on Friday of homecoming week. Elizabeth Gross. Thirty five out of the thirty-six weeks of the Wesleyan school year are filled with countless assessments, Bible papers and piles of homework; Homecoming Week is the one week out of the year where school becomes a little less serious. It is a time where students trade the uniforms for silly costumes and this year, the school went from a normal high school in Georgia to the red carpet in Hollywood. The homecoming week is full of different activities including dress up days, student-faculty basketball games, a school wide parade, Powderpuff football, the Homecoming football game and the week concludes with the dance on Saturday night. The week kicked off with the dress up days. These days included a spirit day, where students could sport their best Wesleyan apparel; group or twin day, where students could dress up with a person or a group of people; high school stereotypes, where students could dress as any kind of typical high school student; decades day, where students could dress up from any time period they wanted and the week concluded with movie day, where students costumes differed based on grade level, but every grade wore something to do with movies; freshman were behind the scenes, sophomores were movie snacks, juniors were supporting roles and seniors were the main characters. “This year’s dress up days were so fun. 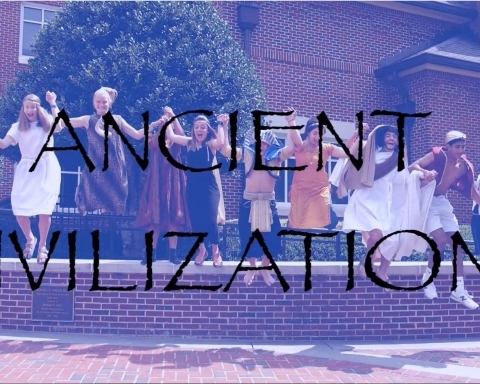 I love dressing up for Homecoming Week, because it is a chance for me to express myself through my costumes and not have to wear a uniform,” said junior Caroline Willis. Homecoming week is also filled with special events throughout the school week to make the week different and exciting. This year, the homecoming week consisted of the first ever high school field day on Tuesday, the grade combined powderpuff football game on Thursday, with a beautiful win by the junior and senior class, and the homecoming court pageant, bouncy castles, karaoke, backyard games and the student-faculty basketball game on Friday. “We made some changes to the homecoming week this year, by taking into account students’ opinions from past years. We tried to make homecoming week fun and exciting for all of our high school students, said Student Government sponsor Robin Godard. The activities throughout homecoming week were engaging for all students, sophomore Bryce Masters said “overall, homecoming week was so fun, but my favorite activity was the student faculty basketball game. It is so fun to [try to] break your teachers’ ankles on the court.” Although the students took a beating in the basketball game, it was still a hit for the entire high school with an final score of 53-17. 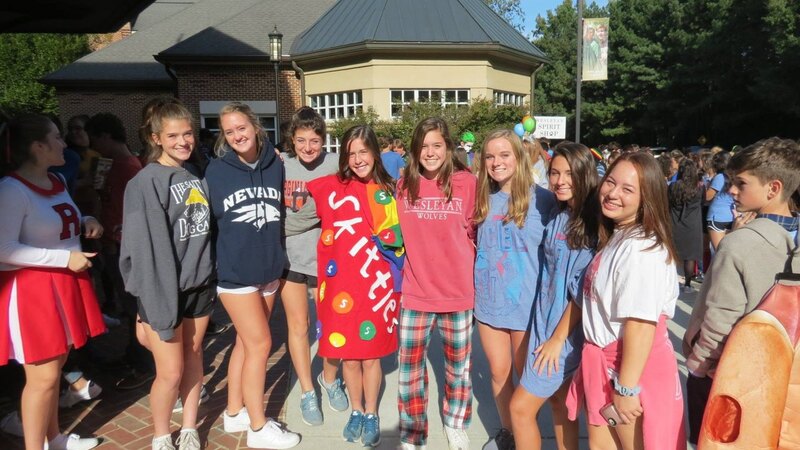 Homecoming week is an exciting week at Wesleyan for students from Lower School to High School, and even Alumni. “I love homecoming week, because it is a beautiful way to see Wesleyan community all come together and just spend time together, regardless of their age,” said senior Student Government representative Caroline Burke. As the school got ready for homecoming, the football team also put in hours of practice to prepare for Friday’s big game. “The football team is very excited about the homecoming game, especially after having a bye week the week before. We have a good opponent coming in and our guys are determined to play their best. They are also excited to have the football alumni come back and watch them play,” said Assistant Varsity Football Coach, Chris Paroli. The homecoming game sure was not be easy for the Wolves, but the team was up for the challenge and they were determined to pull out a win for the homecoming game. “The homecoming game is different because the crowd is much larger, then fans are more engaged and it is just a bigger deal to us. 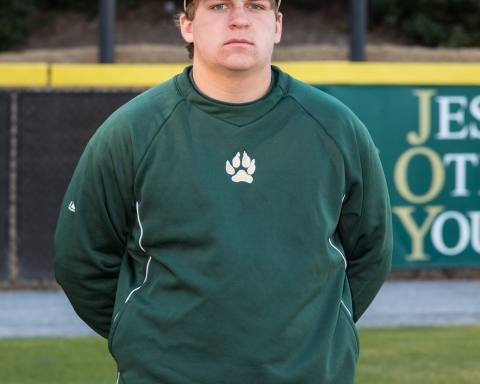 We really like and want to win the homecoming game,” said senior football player Andrew Pridgen. The Wesleyan Football Wolves really showed out during the homecoming football game with a 38-0 win against Landmark Christian School and a tackle by senior kicker Harrison Larner. The alumni joined the Wolves for the game, and the Homecoming King and Queen were announced during halftime of the football game. 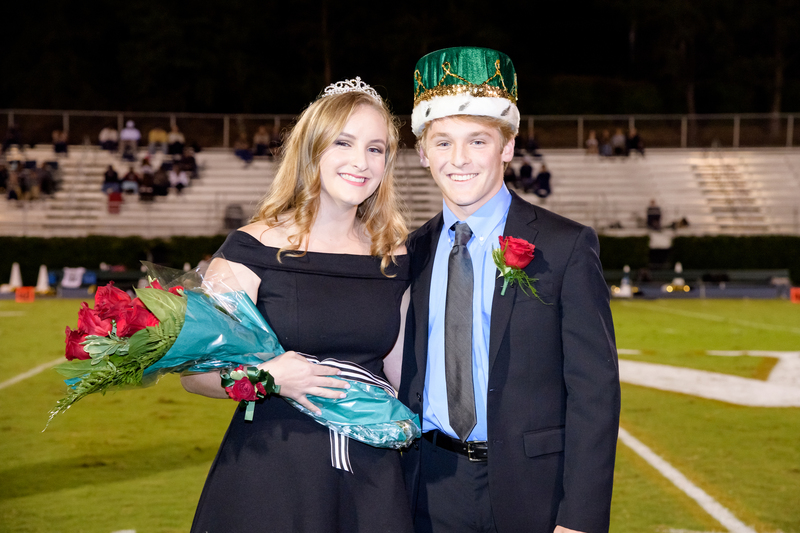 Twin brother and sister Amanda and George Doane were crowned Homecoming King and Queen by last year’s king and queen Payton Kaloper (’18) and Brooks Lalley (’18). The last big event during homecoming week was the dance, of course. The dance kicked off at 8 P.M. in the end zone of the football field with decorations that made you feel as if you were at a drive-in movie. The high school danced the night away with a DJ extraordinaire, DJ Fat Snacks. “The homecoming dance was so fun for my friends and me. It was much more fun dancing with the whole entire high school and seeing my upperclassmen friends. I was surprised at [junior] Niles Boyd’s amazing efforts to get us all engaged and dancing,” said freshman Sarah Lim. This year’s homecoming was a hit and it would not have been made possible without the help of the Student Government team. To sum up homecoming week, “it was a much-needed break in the semester in which I could, personally, step out of my comfort zone and daily uniform and bond with my peers over the activities, costumes and more,” said Lim.